Let these rather upsetting but still great Rick and Morty portraits entertain you while you await season 3). 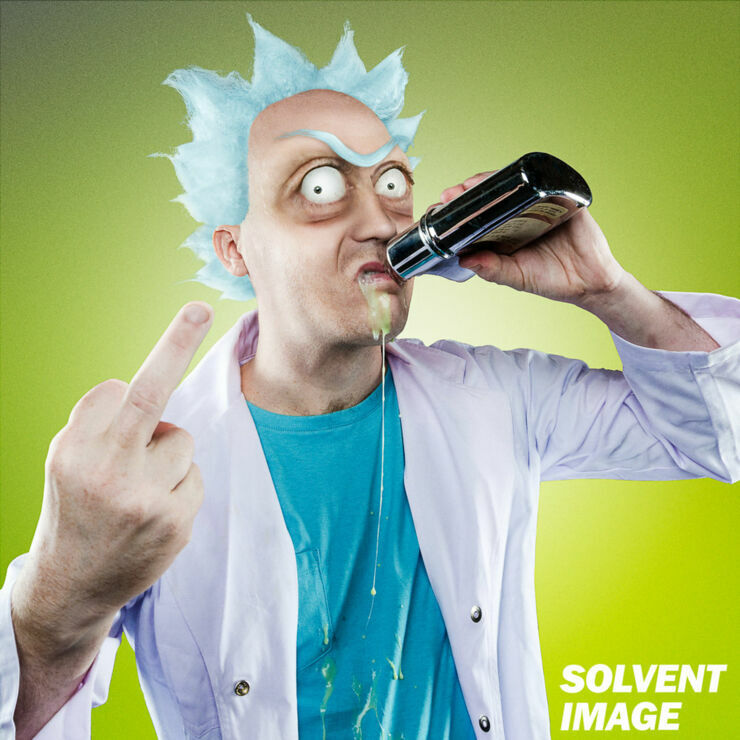 Because until it arrives in its totality, fans of the Adult Swim cartoon about scientist Rick Sanchez who splits his time between domestic family life and crazy interdimensional adventures across the multiverse with his grandson Morty, have to find their fix elsewhere for the time being..
That might be in rewatching the first two seasons or it might be checking out some Rick and Morty memes. 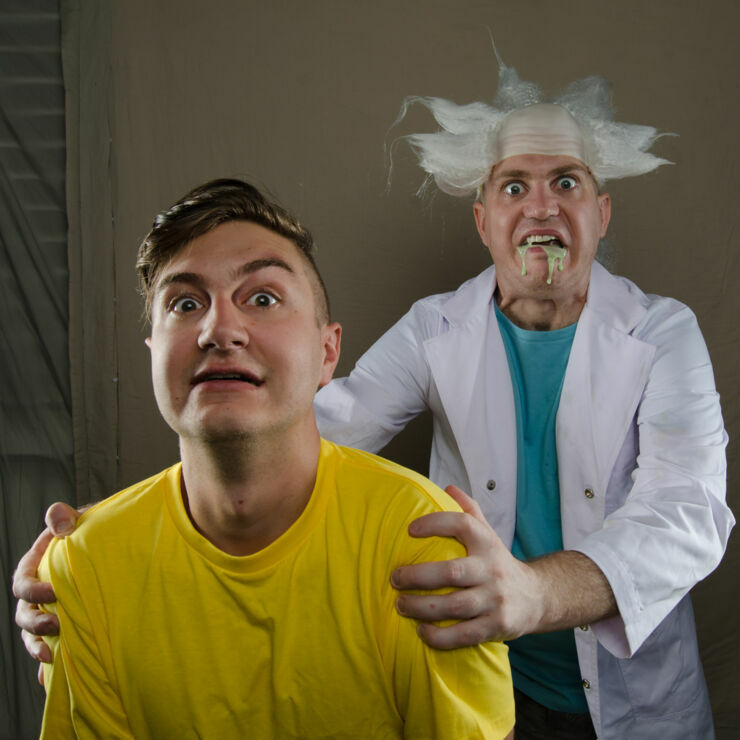 Or it might be checking out these great Rick and Morty portraits by photographer and digital artist John English. 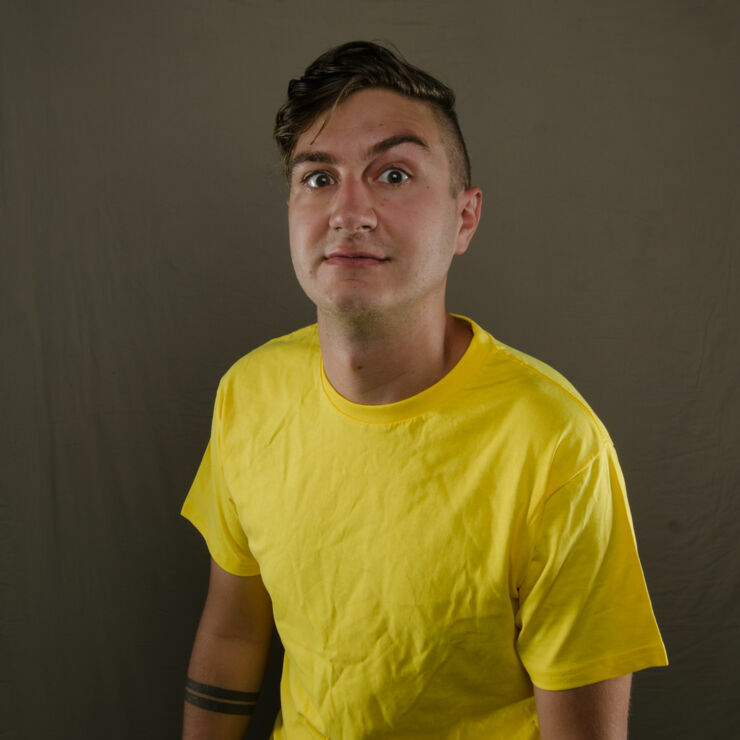 "I'm a massive fan of the show, and of Justin Roiland, Dan Harmon and Ryan Ridley." English tells Smash.com "I love the mix of black humour, science fiction and Saturday morning cartoons." 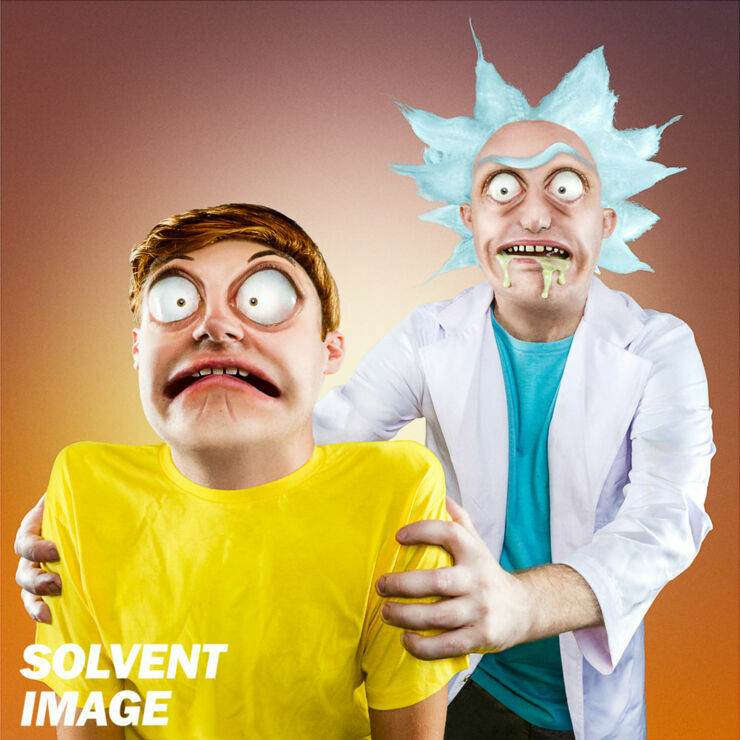 English created his very unique real life Rick and Morty characters by photographing two of his friends and then transforming them into something more cartoonish using an assortment of post production techniques. 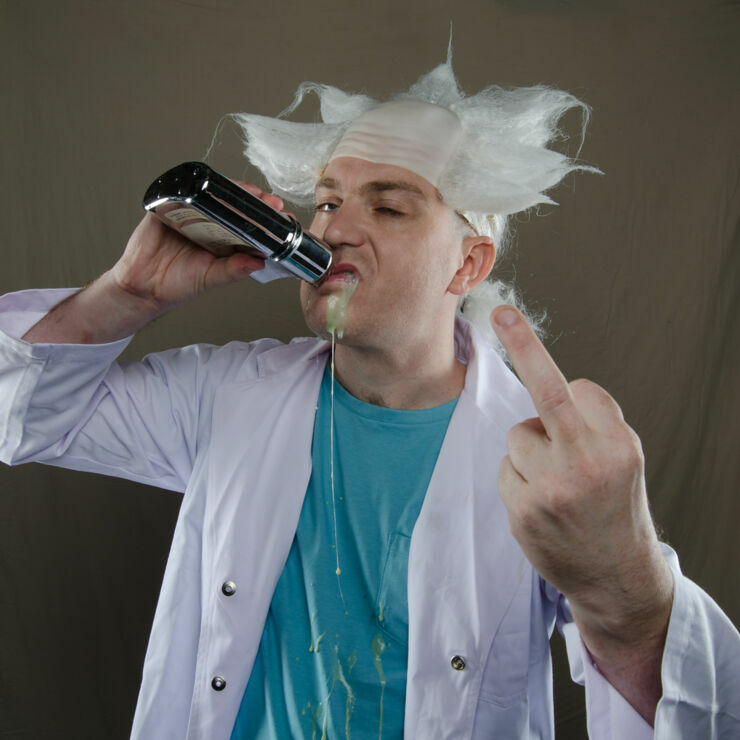 He did this by adding in the round, bulging eyes, Morty's famous 'w' mouth (which in case you didn't know is a nod to Ren from Ren and Stimpy) along with the green trickle of liqueur that's always dribbling down Rick's chin from his constant slurping on his hip flask. "Due to certain constraints (money) and due to this project being a labor of love, it was shot in my house." English says about the shoot. "The models were dressed in simple costumes. The shoot itself was pretty straightforward, it was in the manipulation that the real work began. I think each picture took about 3-4 hours to complete, with Rick's hair, the eyeballs and Morty's 'Ren mouth' being the most difficult!" The result is a mix of awesomeness at seeing the pair brought to life like this, along with horror at how terrifying they look. Which is usually the case when animated characters are brought to life. But the surreal, uncanny-looking result was all part of the plan. "Absolutely." English says when asked if he wanted them to look this horrifying. "I just thought it would be insane to see cartoon characters in real life." You can check out both the before and after below. 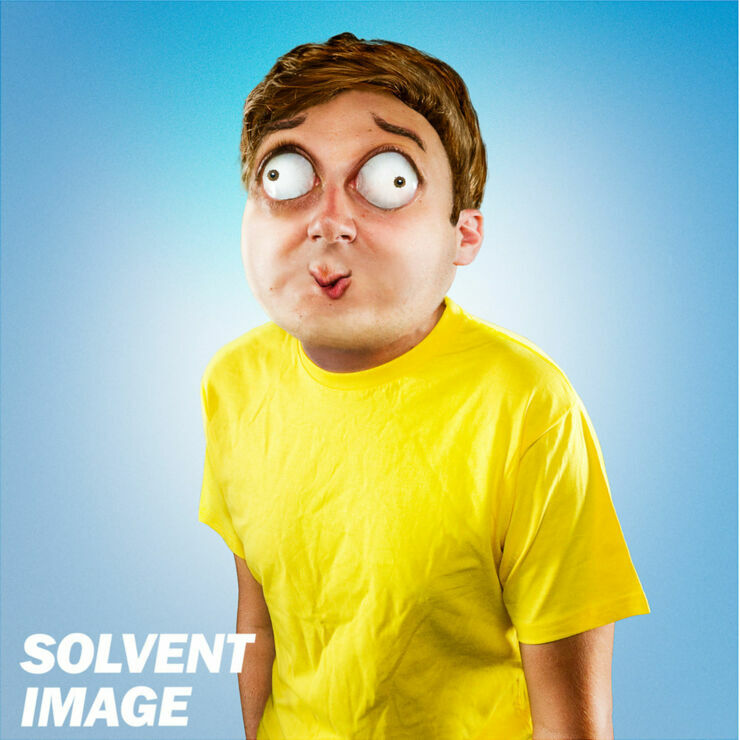 For more of English's work and digital art check out his website Solvent Image. Human Rick before the transformation. Cartoon-human Rick after the transformation. Human Morty before the transformation. Cartoon-human Morty after the transformation. Human Rick and Morty before the transformation. Cartoon-human Rick and Morty after the transformation. Rick and Morty S03 Episode 1 Finally Arrived, On April Fools Day No Less!